I was really excited when I found this book available on Wattpad, and decided to check it out. The story started out interesting enough. Sawyer's abusive boyfriend died in a car accident due to a drink driving incident. Now she's adapting to the confusion and guilt of missing him while at the same time being glad he's gone. Except, after she gets a note it becomes obvious that his death might not have been an accident. And now someone seems to be stalking her in the shadows and the body count starts to rise around her. Okay. Sounds like a good premise, right? Well, the story lost me somewhere along the way and I stopped caring about what was going on. Not to mention that the thriller/mystery angle just wasn't that intriguing. I was constantly bored and skimmed ahead, which didn't affect anything. Seriously, skipping a bunch of narration didn't keep me from guessing who the killer was or missing any vital info. Also, I know others said this before but I need to mention it because I totally agree: this book didn't need a new love interest. I think it could have been a lot stronger if Sawyer was purely dealing with the loss of her abusive boyfriend and not falling for someone else. But, that's just my opinion. 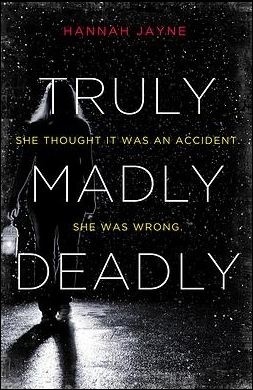 I love reading thrillers--both adult and YA--and feel like this one just didn't cut it. There are just too many flaws. Good try, because it hooked me in at the beginning, but not enough to keep me glued to the page.